04. Stay in your homes! In a few short years, Sonologyst has managed to place himself in the collective consciousness of many that follow the dark ambient as well as experimental ambient genres. Raffaele Pezzella of Napoli, Italia, got his musical career up and running in 2011 with his proper debut, Ipotesi del continuo. He used the momentum from this to secure follow-up releases through labels such as: Petroglyph Music, Gravity’s Rainbow Tapes, Attenuation Circuit, and Cold Spring Records over the next few years. Meanwhile, his own label, Unexplained Sounds Group (USG), began to take shape and started a progressive release schedule which is still keeping its momentum. Then, in 2017, Pezzella started a sub-label of USG, named Eighth Tower Records. Eighth Tower Records is where the career of Pezzella truly makes its collision with This Is Darkness. While experimental ambient releases are certainly fair game for us, specifically dark themed experimental (though thus-far less experimental than much of the material on USG) ambient releases are even more in line with our preferred sound palette. While about half of their releases so far have been compilations (with some great talent always involved, though not always with exclusive tracks), the other half focuses on some great up & coming or under-the-radar talent, including: Aseptic Void, Urs Wild and Hezaliel, to name a few. 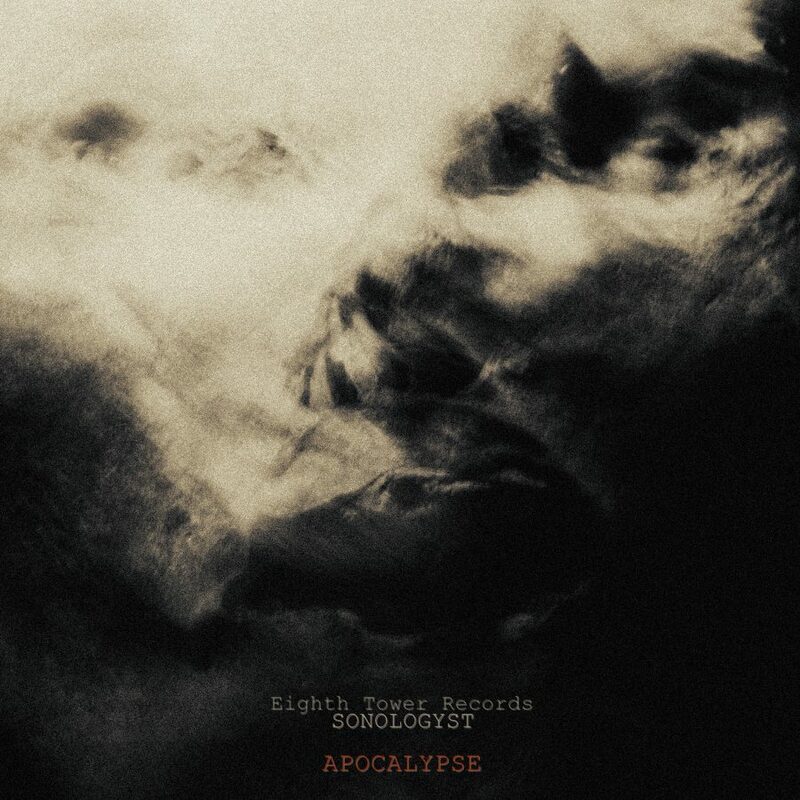 Apocalypse is the most recent release by Sonologyst, on Eighth Tower Records. 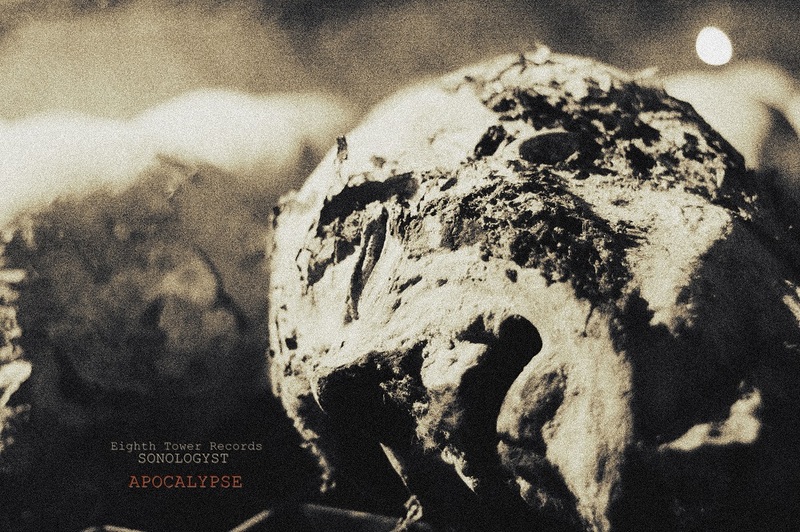 This album focuses on the apocalypse, not necessarily through any single event, but through snippets of events, landscapes through soundscape, and mental states. I will say, immediately, this album feels less experimental and more in line with the range of sounds we would hear on a more traditional dark ambient release. There are, however, moments throughout the album where Pezzella’s fondness for the experimental certainly still shines through. When it does, it has a stronger and more benign effect on me than would otherwise be the case. I’ve been considering Apocalypse for a good while. Since it’s release, it’s been in steady rotation here. What started as my favorite release yet by Sonologyst, has turned into one of my favorite releases of 2017. So many tracks on this album are quite memorable and are able to evoke a great deal of emotion from the listener, as we are taken along on the ride through this apocalyptic soundscape. Tracks like “Sulphurous rain” and “Dying oceans” are incredibly relaxing, minimal in design, but incredibly rich in emotion. Particularly on “Dying oceans” there is a sound, that may or may not be a dolphin, which seems to be crying out in abject terror, as the oceans of Earth lose their last life sustaining properties, a mass extinction of their inhabitants. “Hypnosis” is another favorite for me on Apocalypse. It sounds much like something that would be released through the ritual ambient label, Aural Hypnox. A gentle and relaxing loop runs throughout the track. A calm male voice, echoed by a female counterpart, repeats a phrase throughout “Hypnosis”. Topping off the track is a high pitched frequency which lingers atop the mix, making slight shifts. The combination of all these elements is a wonderfully hypnotic track. Starting the album in this way is quite clever, as it seeks to pull the listener into its trance, before the full experience can properly begin. Then there are a few tracks, like “Stay in your homes!” and “Global Threat”, that incorporate snippets of sound from old films which focused on these end-time themes. All these elements from the different tracks together form an ebb and flow throughout the album, giving the listener all the right cues and periods of time to contemplate the greater experience, to meditate on our own versions of these stories. Apocalypse is my favorite Sonologyst release to date, no question. This album was crafted using all the same principles and techniques that I am looking for in a well-rounded dark ambient album. The themes, flow, and technical prowess are all working in coordination toward the perfect end-product. I would recommend Apocalypse to any fans of experimental ambient, but also to fans of the more common forms of contemporary dark ambient. Apocalypse really does have a little something here for everyone across the spectrum and it’s presented in a way that shouldn’t alienate those who may like one element here less than the others. Though there are only a few years of releases behind Sonologyst, he again proves why he’s been taken so seriously in this scene of music that can often eat musicians alive, without ever a word of explanation. Raffaele Pezzella recently contributed his knowledge of music studios to our massive article Dark Ambient 101, you can check it out here.